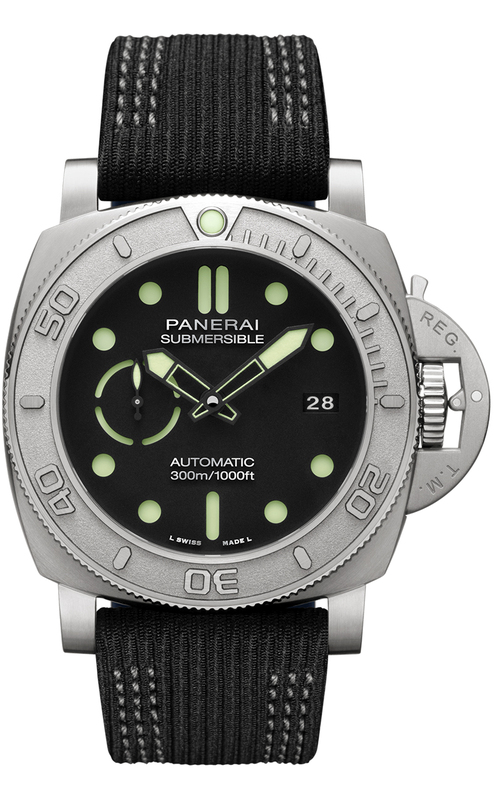 A GENEROUS amount of upcycled materials set the new Panerai Submersible Mike Horn Edition (PAM 984) apart from its Panarai siblings. Of course, that the name of the 52-year-old, world-famous professional explorer and adventurer — not to mention 15-year Panerai ambassador — is attached to this piece only marks it out as quite special. Well, there actually is a version of this watch, limited to only 19 examples, which is even more special. That’s because the 19 people who buy the watch, referenced as the PAM 985, also get for themselves a few days’ worth of intensive training with Horn on some bits of Arctic ice floes. 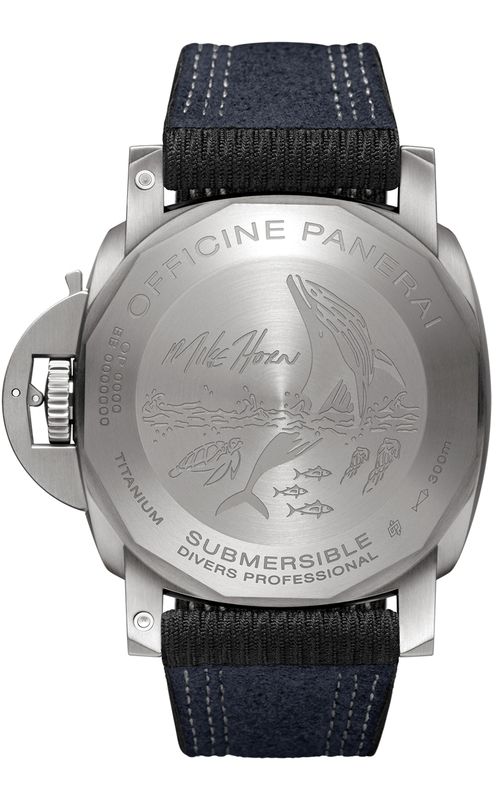 While definitely a proper way to earn the right to wear a Submersible Mike Horn Limited Edition, Panerai is also correct in pointing out this accompanying experience affords one an awareness of man’s impact on the planet’s ecosystem. To be sold exclusively at Panerai boutiques, the PAM 985 are identified from the PAM 984 by aquamarine blue accents on the strap, hour markers, hands, subdial and bezel. Apart from this color treatment — and certainly the training session with Horn — its other specifications are identical to the PAM 984. 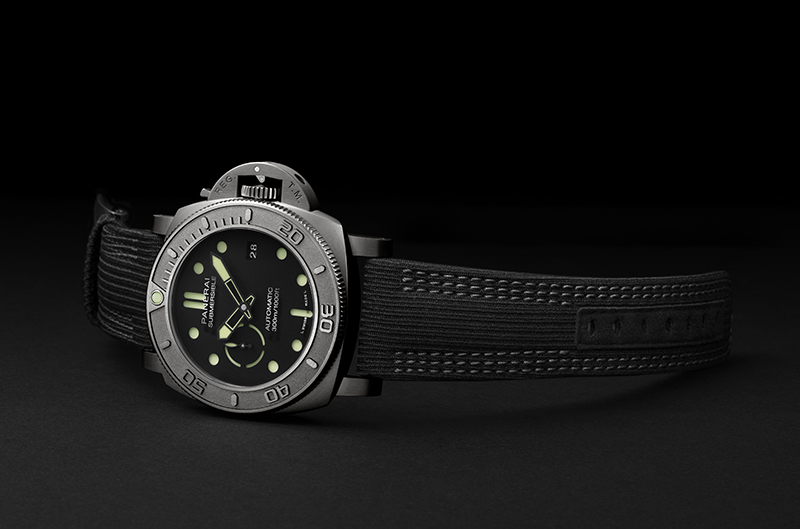 Speaking of which, this Submersible Mike Horn Edition comes in a 47-millimeter, 300-meter water-resistant case made from what Panerai brands as “EcoTitanium.” Basically, the material is recycled titanium, coming from ingots formed from titanium turnings and massive scraps that mostly have seen duty in aircraft parts. The cases of both Submersible Mike Horn models are the only pieces where EcoTitanium was used; it also found its way on the watches’ crown, bezel and caseback, which, by the way, is adorned by engravings of Horn’s signature, as well as by images of sea creatures. As can be instantly recognized, the watches’ unidirectional rotating bezel departs from the classic Panerai look. But this change, Panerai assures, does not come at the expense of legibility, especially in the dark, thanks to generous doses of green Super-LumiNova on the index markers, hands and subdial (actually, the off-white, greenish tint of these elements is a result of the luminescent coating). Set against the black backdrop of the watches’ sandwich dial, the contrast is inarguably vivid. 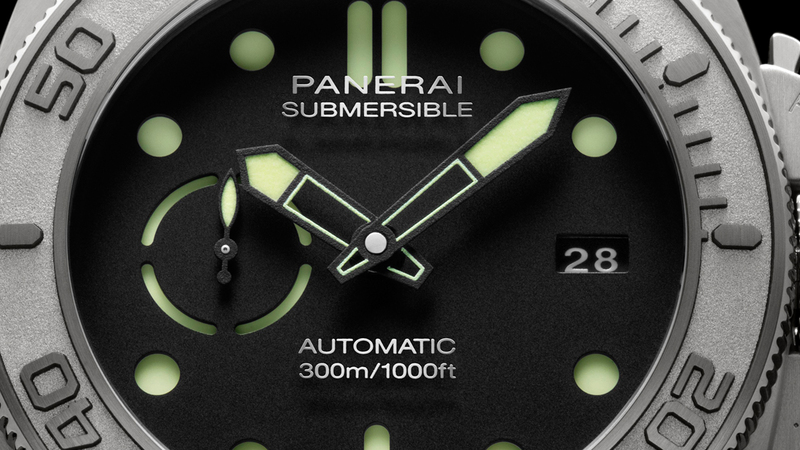 An interesting touch on both the Submersible Mike Horn pieces is that their “Panerai Submersible” and “Automatic 300m/1000ft” inscriptions are not printed on the dial itself. Rather, these are silk-screened on the sapphire crystal covering the watches’ top. Equally cool are their black straps, which are also made from an eco-friendly material — recycled PET. Oh, and unlike other Panerais, these two come in dive-theme packaging constructed from recycled materials. 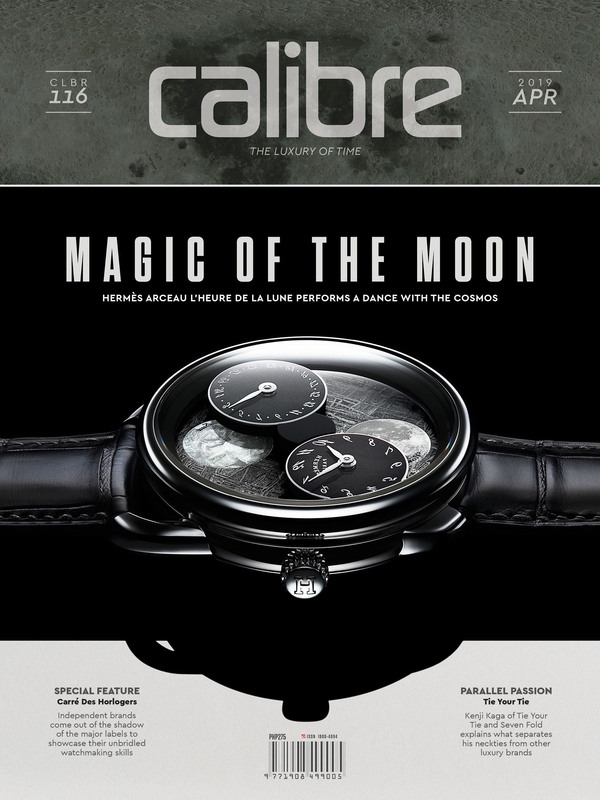 Ticking beneath both Submersible Mike Horn pieces is Panerai’s in-house, self-winding cal. P.9010 that has 31 jewels and which spins at 28,800vph. This movement has a pair of spring barrels wound by a bi-directional rotor, allowing for a generous three-day power reserve, as well as a mechanism that lets the hour hand be adjusted in one-hour increments forwards and backwards while not interfering with the sweep of the second hand. This makes setting the time for a different location quite easy. Incidentally, Panerai’s manufactory in Neuchatel where the cal P.9010 is built was designed to reduce carbon dioxide emissions to zero, installed with energy-saving devices and equipment for recovering and reusing waste materials. Eco warriors and explorers, rejoice.